We learned of the election of Jorge Mario Bergoglio while riding in a taxi late yesterday afternoon. It had just been announced on the radio, and while the taxi driver admitted to being only a once-in-awhile church goer, he was excited at the fact of a Latino, and an Argentino, being chosen to head the Church. According to news reports, Church doors throughout Argentina were opened as people arrived to celebrate the news. This morning all the papers were filled with stories and photos, as were the radio and television channels. Generally it is all extremely positive. Some however are raising the issue of where this priest stood during the time of the military juntas of 1976 through 1983, when 30,000 people disappeared. The journalist Horacio Verbitsky, in an interview with the Washington Post, suggests that many Argentinians will be conflicted about the new pope's past, especially during the Dirty War. He has reported that Bergoglio, as head of the Jesuit order in Argentina at the time, lifted Church protection for two known leftist priests, who were then arrested by the military dictatorship. At best the new pope was silent and failed to speak out against the Junta. At worst he was complicit. In a nation as political as is Argentina, this question will be debated in the days ahead. And to keep things in perspective it should be noted that while this is a nation where 92 per cent of the population identifies with being nominally Roman Catholic, only 20 per cent at best can be considered practicing members of the faith. 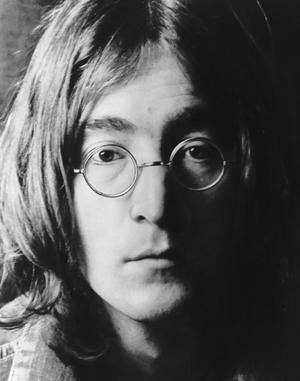 As for our taxi driver, towards the end of our journey, he pointed with pride at some Beatles pins hanging from his rear view mirror, and said in English, "For me, John Lennon is God." Copyright 2013 by Jim Murray.